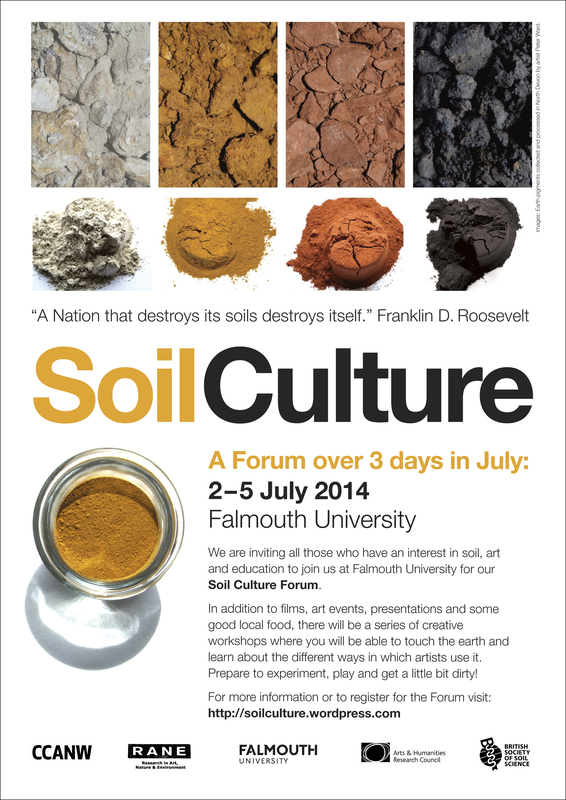 We are inviting all those who have an interest in soil, art and education to join us at Falmouth University for our Soil Culture Forum. In addition to films, art events, presentations and some good local food, there will be a series of creative workshops where you will be able to touch the earth and learn about the different ways in which artists use it. Prepare to experiment, play and get a little bit dirty! For more information or to register for the Forum visit: Soil Culture | Using the arts to revitalise our relationship with a resource we take for granted.. This entry was posted on May 29, 2014 at 8:30 am and is filed under Exhibitions, Knowledge, News, Research. You can follow any responses to this entry through the RSS 2.0 feed. You can leave a response, or trackback from your own site.